Who was Fénelon, this mature-looking man with the intelligent, attractive face? Fénelon, François de Solignac de la Motte (1651–1715). Spiritual writer. In 1695 he became archbishop of Cambrai. Through his friendship with Mme Guyon and his defence of her doctrine of pure love, he became involved in the Quietist controversy and was attacked by Bossuet, as a result of which he was banished from the court in 1697. His letters of spiritual direction have long been greatly valued. Archbishop Fénelon was a hardworking Roman Catholic priest, a nobleman who moved in the circles of the nobility and gave spiritual advice to them, for example to mothers raising daughters, and even to the King of France himself, Louis XIV, the Sun King. 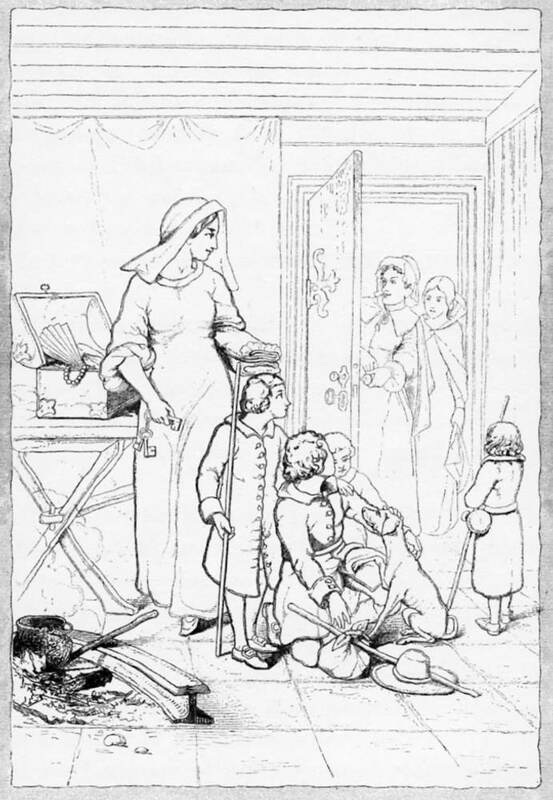 For a time Fénelon was tutor of the Duke of Burgundy, who later became king; was a missionary to the Huguenots (Reformed Christians); and Superior at the “Maison des Nouvelles-Catholiques,” a convent where the re-education of Protestant women, and little girls who had been removed from their parents’ homes, took place. As the author of a novel (The Adventures of Telemachus), other works, and letters he wrote as a spiritual director, he is still admired. It is a matter of concern however, that evangelical Christians are reading him devotionally (Let Go, The Spiritual Classic by Fenelon), despite the fact that he was a mystic – as all true Roman Catholics are – and a persecutor of Christians. As a student I learned about Fénelon in French class, and received the naïve impression that he was only a distinguished person from the golden age of French classic drama and fairy tales. Much later I learned from Timothy F. Kauffman, at Out of His Mouth blog, about Fénelon’s persecution of the Huguenots, and of Kauffman’s concern that Presbyterian pastors and professors were promoting Fénelon, and by means of Fénelon, promoting an appreciation of Catholicism among younger Presbyterians. France has been called ‘the eldest daughter of Rome’ – to me, a chilling label. Fénelon was born, raised, and lived in this nation the century after the French Wars of Religion (1562–98), which followed the Reformation, when “between 2,000,000 and 4,000,000 people were killed as a result of war, famine and disease” (quote from Wikipedia, cited to Robert J. Knecht’s 2002 book The French Religious Wars 1562-1598, Osprey Publishing). The supremacy and peace of Fénelon’s One True Church and Catholic France had been undermined by enemies who still lived in rebellion within his homeland. 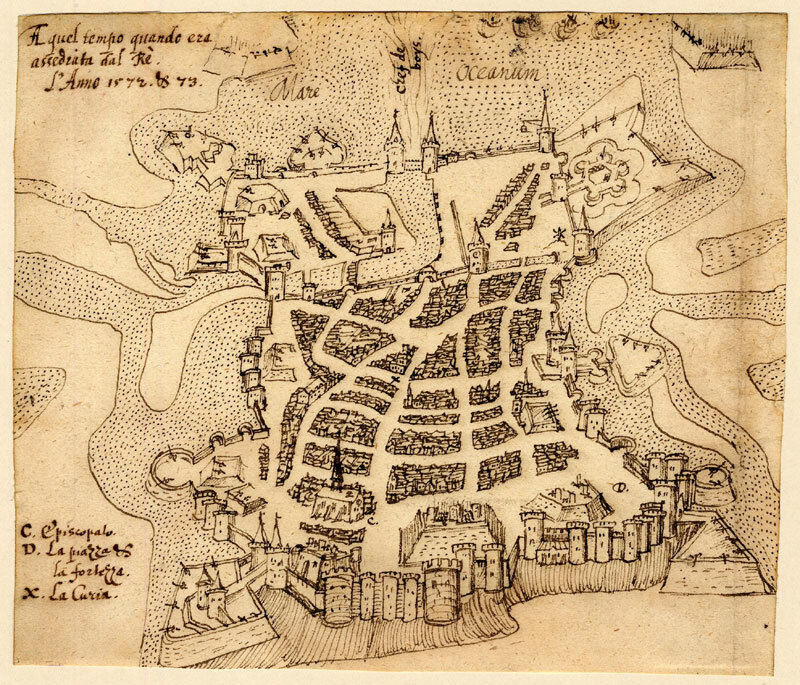 But we know that these enemies were Reformed Christians, many of whom were children of God through faith in Jesus Christ alone; and so it was Christ’s kingdom that had intruded upon France and the Kingdom of Antichrist, as it had in the Middle Ages in the case of the Vaudois (Waldenses) and Albigois (Albigenses). Fénelon was an important actor in the Counter-Reformation, so what are Christians doing reading him for spiritual advice? The following gives the Catholic view of his motivations and actions as he strove to help reestablish the Catholicity of France. In 1678 Harlay de Champvallon, Archbishop of Paris, entrusted Fénelon with the direction of the house of “Nouvelles-Catholiques”, a community founded in 1634 by Archbishop Jean-François de Gondi for Protestant young women about to enter the Church or converts who needed to be strengthened in the Faith. It was a new and delicate form of apostolate which thus offered itself to Fénelon’s zeal and required all the resources of his theological knowledge, persuasive eloquence, and magnetic personality. Within late years his conduct has been severely criticized, and he has been even called intolerant but these charges are without serious foundation and have not been accepted even by the Protestant authors of the “Encyclopédie des Sciences Religieuses”; their verdict on Fénelon is that in justice to him it must be said that in making converts he ever employed persuasion rather than severity”. Hi! Hey it’s you, my brother and friend. So glad to hear from you! Do you blog? So glad you enjoyed it, Kevin! Great post. Someone just recommended one of his books to me the other day. James, thanks for reading and commenting – I appreciate it! 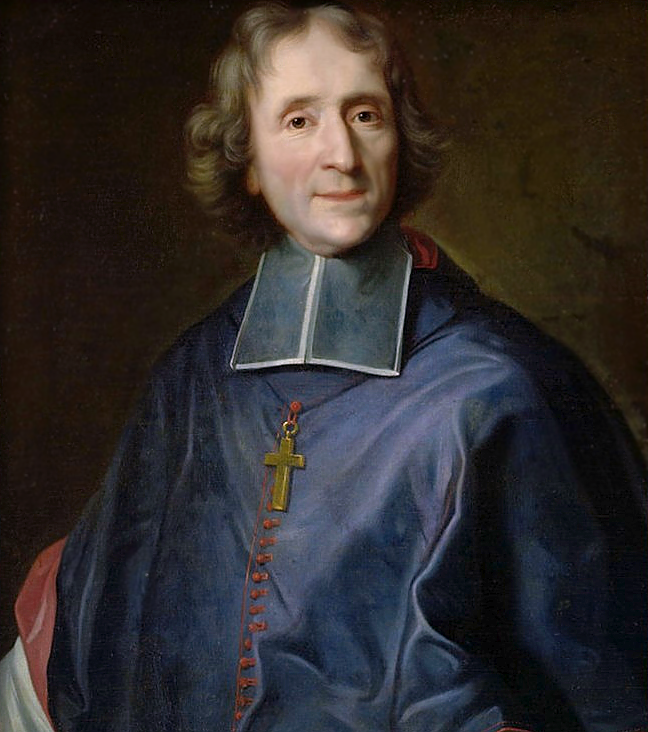 I believe we should read Fénelon to learn about history but not for spiritual advice. Maria, thank you for your preoccupation with these studies. This is a great effort on your part to aid in putting such names and representative schools of thought which might be adverse to God’s true place for us; IE our perspective to applying faith and position in Him, security and the basic substance of our standing. People like the Quietists easily can draw one in, whilst hungering for a deeper life with God. Great work, keep it up. Miguel, your encouragement helps a lot. Thank you! In your thinking then, his support of Quietism is what should make us cautious of his teaching? I don’t know as much about him as, for example, served I believe to preamble your post. But from what I gathered in the post, his duplicitous approach to propagating the Gospel, his doctrine of will used to obtain some kind of standing before God, thus negating the power of God, provided through faith continuance, IE essential for the walk, Spirit representing Christian, believer, and those things and more (ascertained from the info in your post), include in there the fact that he was a Catholic alone. I would be cautioned as to taking some positive espousal from his presentations. Will worship, Catholicism, addding works to the Gospel of grace? You got all of this? Well, you’ve helped me to go forward with this in the face of questions that I may be unjust. There was a lot more, Maria. I was a bit indisposed when I strove to jot my reply. Don’t discount, aside from the conscious, the subconscious supplementation your ministry carries out. Thank you – you were helpful, Miguel. The fact that there is more to what we write, the unintended good things (subconscious), gives us all reason to pray and give thanks too. God bless you! Slightly discouraged but not too much – you’ve encouraged me. I spent most of this afternoon writing part 3. Miguel, I will be on the lookout for your comment on part 3. In the meantime I’m happy that you confirmed that someone needs to do this. Only the Lord can judge this man, finally. But it is an important thing to warn sheep away from food that can make us sheep dangerously ill. Thank you! May the Lord direct you as you write for Him!